The Wolfgang stool was designed with comfort in mind, style on point and comes with gorgeous fabric options with which to adorn the back and seat. 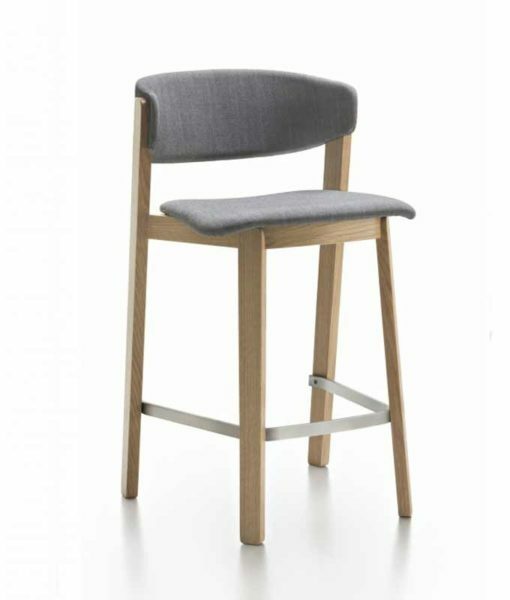 The Wolfgang stool places its comfortable cushion at a slight angle to fit the natural curves of the human form. Available in both bar and counter height, this minimalist piece allows you to mix and match with other dining furniture within and without the Wolfgang Collection. Customize this piece in your choice of fabric and wood finish.